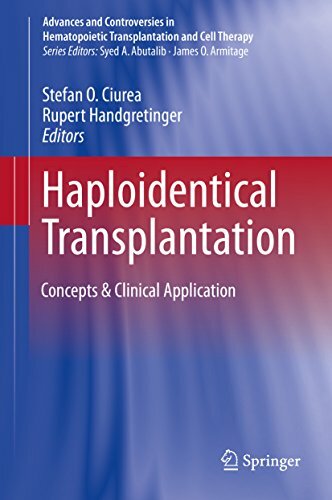 In this book, world-renowned experts in the field express well-reasoned opinions on a range of issues and controversies relating to haploidentical transplantation with the aim of providing practicing hematologists with clinically relevant and readily applicable information. 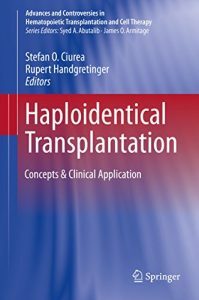 Among the areas covered are graft manipulation and methods to control T-cell alloreactivity, the nature of the ideal graft and donor, haploidentical transplantation in pediatric and adult patients with malignant and nonmalignant diseases, immunologic reconstitution following transplantation, complications, and the prevention and treatment of relapse post transplantation. Attention is drawn to the implications of high-impact clinical trials whenever such trials are available. The readily intelligible text is complemented by numerous helpful tables, algorithms, and figures. The book will provide practical support for hematologists and transplant physicians as they attempt to provide optimal care in this exciting but increasingly complex medical specialty. Imagine that a certain Science has managed to identify and describe, in details, all the existing human personalities, all the existing human types: mode of thinking, special emotions and mode of behavior; how, each personality, tends to behave in affairs, sexuality, family, politics, religion, profession, etc. ; in addition, what kind of physical and psychological diseases, each personality, tends to develop. Moreover, imagine that this identification has been done in an objective and scientific way. That is, not only through clinical observation, but, on top of that, through the scientific methodology of the Double Blind Trial. 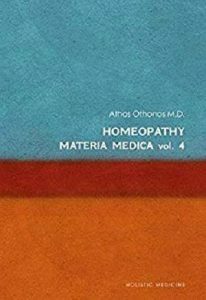 To add, imagine that this Science has succeeded in finding a way to minimize the extreme features of each personality, therefore, contributing to the prevention, as well as, to the cure of the above mentioned physical and psychological diseases, in the most harmless and natural way. Well, this isn’t some kind of imagination! This is a reality! 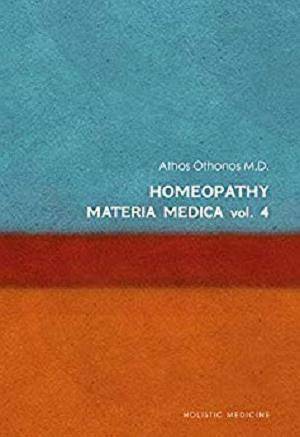 It’s the reality of the everyday clinical practice of the Homeopathic Medicine and, especially, of the Classical Miasmatic Constitutional Homeopathy, developed by the author. In the volumes of this book, the writer describes in a scientific, yet fascinating and simple way, the Constitutional Pictures that affect all of us. Would you like to know, in the deepest way, yourself, your companion, children, parents and friends? Then, you, definitely, must read this book! 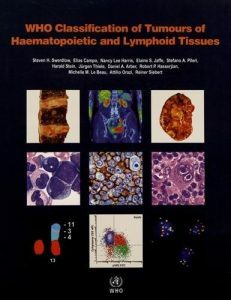 Fulfilling the void with a Hematopathology book that integrates clinical and experimental studies with diagnostic criteria, Neoplastic Hematopathology: Experimental and Clinical Approaches provides an overview of the discipline of hematopathology that connects the field with recent advances in immunology research and current clinical practice in the treatment of lymphomas and leukemias. 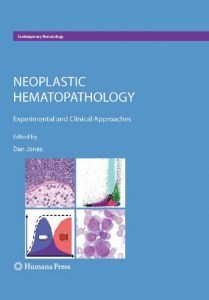 Designed for both trainees and specialists in pathology and hematology-oncology, Neoplastic Hematopathology: Experimental and Clinical Approaches has separate sections on laboratory techniques, diagnostic hematopathology, treatment and stem cell transplantation. Expert chapter authors address both myeloid and lymphoid tumors, and provide much needed coverage in transplant biology. A study guide highlights key chapter points, making the text suitable for boards review in hematopathology and hematology-oncology. 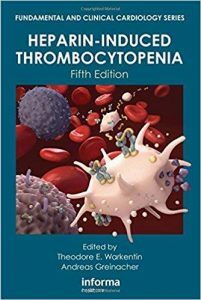 Although first reported in 1973, immune heparin-induced thrombocytopenia (HIT) remains one of the most frequent and devastating adverse drug reactions encountered by physicians. 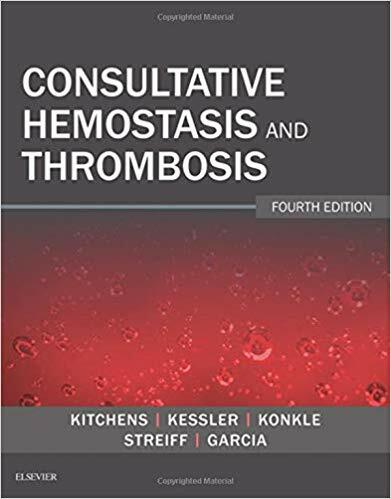 This thoroughly updated fifth edition from international experts Professors Warkentin and Greinacher is the gold standard for accurate diagnosis and management of this condition. 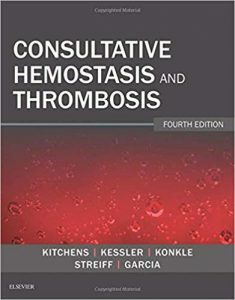 Identifying key signs and symptoms and providing clear intervention strategies―including the use of alternative anticoagulants to manage critical circumstances―this is an essential resource for all clinicians and a “must” for hematology consultants. 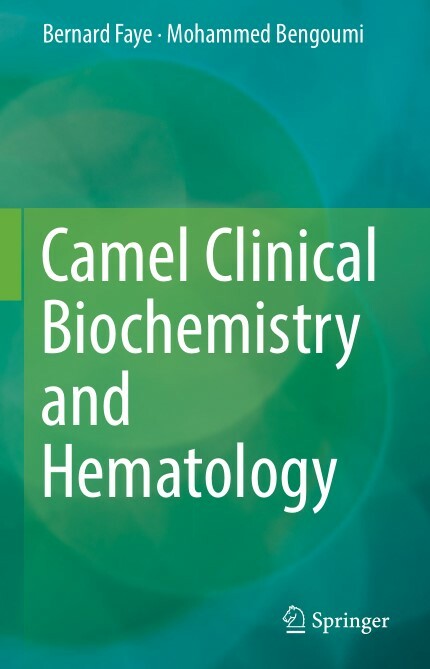 This work brings together a wealth of data regarding the reference values and factors of variation in biochemical parameters used by camel veterinarians and scientists to determine these animals’ nutritional and clinical status. It also explores several technical aspects involved in determining these parameters, sampling procedures, and essential elements in the interpretation of the results. Though many texts are available on small and large ruminants, much less is known about species confined to the marginal zones of tropical and Mediterranean countries, such as camels. This book addresses precisely this research gap, on the one hand by presenting an extensive review of the literature, and on the other by synthesizing the outcomes of the authors’ numerous previous works. In veterinary medicine, blood tests to help diagnose diseases in cattle were first proposed nearly a century ago, but were mainly developed in the 1960s, initially at specialized research or veterinary services laboratories, and eventually, with the advent of new equipment and the miniaturization of the analyzers, finding their way into veterinarians’ cabinets. Beyond their diagnostic value, veterinary surgeons and zootechnicians also speculated on the potential use of blood tests to evaluate animals’ nutritional status. Thus, a whole range of analyses are now proposed to the stakeholders responsible for animal health. Such analyses could help to define a metabolic profile, which would offer a valuable decision-making tool for experts and researchers alike. 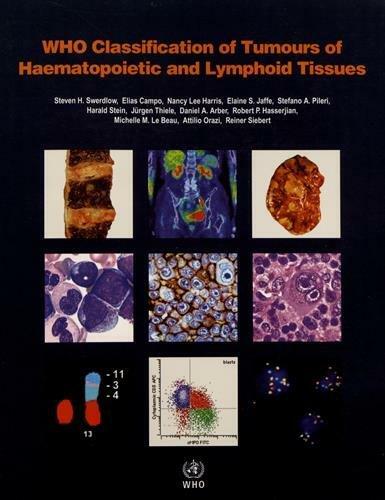 WHO Classification of Tumours of Haematopoietic and Lymphoid Tissues is a Revised Fourth Edition of the WHO series on histological and genetic typing of human tumours. This authoritative, concise reference provides an international standard for oncologists and pathologists and will serve as an indispensable guide for use in the design of studies monitoring response to therapy and clinical outcome. Diagnostic criteria, pathological features, and associated genetic alterations are described in a strictly disease-oriented manner. 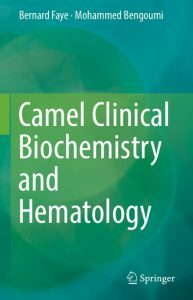 Sections on all recognized neoplasms and their variants further include new ICD-O codes, epidemiology, clinical features, macroscopy, prognosis, and predictive factors.This classification, prepared by 132 authors from 23 countries, contains about 1300 color images and tables and more than 4500 references. 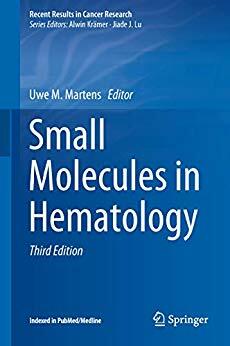 This book, written by respected experts, discusses in detail the latest developments in targeted therapy for hematologic malignancies using small molecules. It covers a wide range of small molecules including tyrosine kinase inhibitors, immunomodulatory drugs, the IDH-2 inhibitor enasidenib, the BCL-2 inhibitor venetoclax, and the proteasome inhibitor carfilzomib. For each molecule, aspects such as the chemical structure, mechanism of action, drug targets, drug interactions, preclinical studies, clinical trials, treatment applications, and toxicity are discussed. 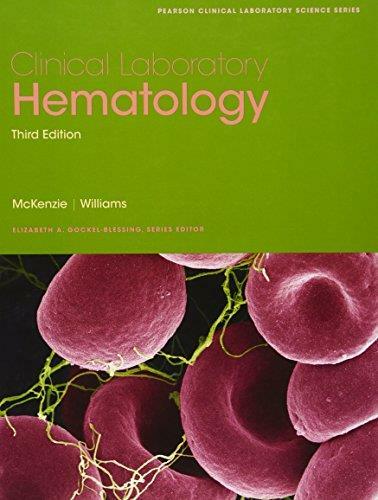 Clinical Laboratory Hematology, Third Edition, continues its stellar reputation as a comprehensive, yet reader-friendly, resource for all levels of hematology laboratory education, offering a visually engaging design and effective learning features that help students master the content. The text’s teaching and learning package includes an Instructor’s Manual, PowerPoint presentation slides, a test bank, image bank, and a companion website with resources for both instructor and students. Teaching and Learning Experience: Designed for both MLT and MLS students, the text provides a beneficial and economical resource for laboratory science programs that offer both levels of instruction and includes a wealth of learning features. Each chapter features a consistent format with a striking visual design, making it easy for the reader to find information on each topic. Complemented by a variety of ancillary materials designed to help instructors be more efficient and effective and students more successful. 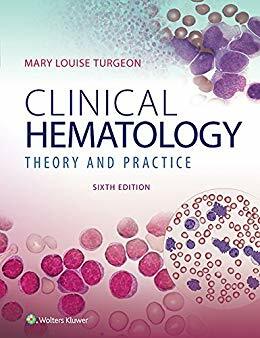 Designed to help students develop the professional entry-level competencies they need for certification and career success, this 6th edition of Clinical Hematology strengthens the pedagogy that set the quality benchmark for hematology and includes the current, competency-based content needed by MLT and MLS students.